This Black 70s Wig and Tash Set provides an instant 70s fancy dress look and includes a quality black wig with coordinating self-adhesive black tash. This Black 70s Wig and Tash Set provides an instant look for any Disco Fever theme! The set is made by Smiffy’s - a leading Wig Maker giving you great quality at a fantastic price. The wig is in jet black with a comedy 70s design. The coordinating tash is self-adhesive for easy application and completes the look perfectly. 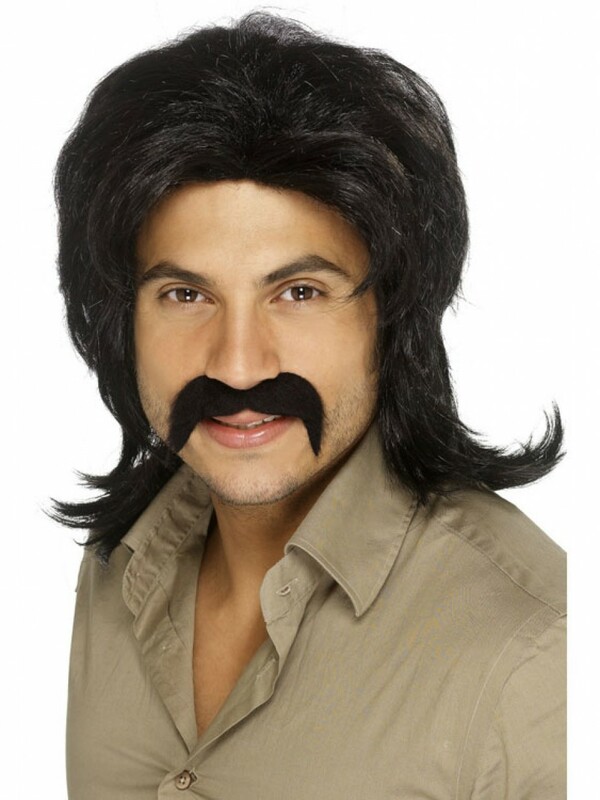 This Black 70s Wig and Tash provides an instant 70s look on its own or is great teamed up with any 70s Costume.